Can Left-Handedness Be a Sign of a Learning Disability? Do you remember when you realized your child preferred to use his right hand over his left hand, or perhaps the other way around? Parents typically begin to notice hand dominance when babies first reach for and grasp objects. Many parents, however, express concern when their children show a preference for using their left hands. They wonder if left-hand dominance is a sign of a learning disability. Rest assured, in most cases left-handedness is a normal part of child development and can even be an advantage in some aspects. In other cases, however, left-handedness can coexist with learning problems. Fortunately, this is the exception and not the rule. This review of left-handedness in children can help you determine if your child may have learning problems. Are there left-handers in your family? If so, left-handedness alone is usually not a sign of a problem. But if the trait showed up generations ago, you may not realize that left-handedness runs in your family or your partner's family. If you're fortunate enough to know this detail of your family history, know that hereditary left-handedness is a natural difference, akin to eye and hair color differences. There are times when left-handedness may be part of a greater issue related to brain development. If you do not have any left-handers in your family, or if your child has experienced any other signs or symptoms of a learning disability, this may be more likely. What are some conditions that raise the likelihood that left-handedness is related to a problem rather than simply a natural characteristic such as eye color? Children who are both left-handed and demonstrate signs of learning disabilities. If your child is left-handed and exhibits early signs and symptoms of learning disabilities or developmental delays, you may rightfully be concerned. 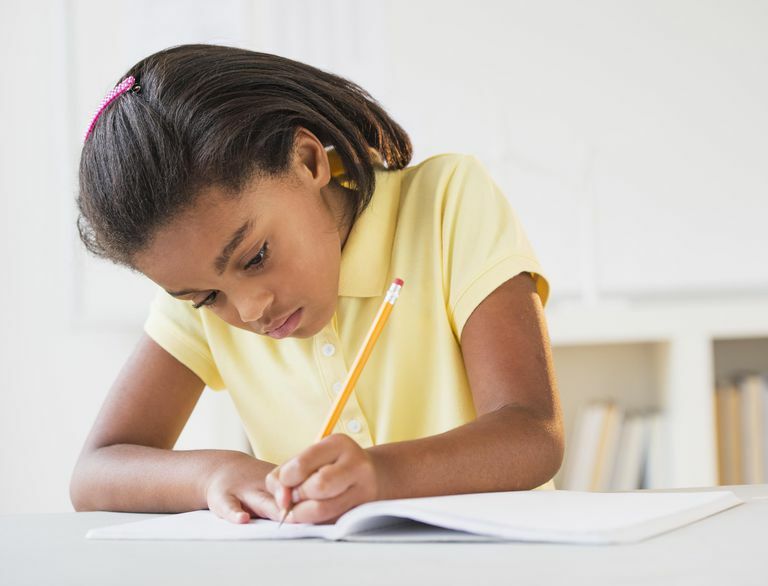 If a child is left-handed and also has risk factors for developmental delays or learning disabilities, her left-handedness may be of more concern. Consider whether your child was exposed to risk factors prenatally or in early childhood. Some childhood illnesses, congenital problems, and injuries, when combined with non-hereditary left-handedness may raise concern. Has your child experienced severe illnesses such as meningitis, developmental disorders such as spina bifida, or accidents or abuse leading to brain injuries? Children who are deaf are 2.2 times more likely to be left-handed than right-handed. If these, or other developmental disabilities, are not a concern for your child, then her left-handedness is likely just a part of his natural development. What If Your Child Shows Signs of Learning Problems? If you believe there is a possibility that your child's hand dominance is connected to a problem, it is important to remember that hand choice itself is not the cause of the problem. Even if hand choice is connected, it is simply another aspect of your child's development and should not be considered a problem to be "fixed." Should You Attempt to Change Your Child's "Handedness?" Your child will naturally use the hand he feels most capable of using for any task. He may show a dominant left-hand preference or may use both hands to varying degrees, depending on the task and what he feels is the best way for him to do it. Attempting to change his left-handedness can lead to additional learning frustrations and self-esteem issues. Given this, don't coerce or ridicule your child into using his right hand when he's inclined to use his left. If you are concerned about the possibility of learning disabilities in early childhood, you may wish to begin by talking with your child's pediatrician. Your child's doctor can help you decide if there is a reason for concern and can refer you to early childhood intervention programs. If your child is age three or older, you may contact your local public school district for information on diagnosis, evaluation and special education services. Left-handedness in an of itself is not a cause for concern, especially if there have been other left-handers in your family. In fact, some studies have found that left-handers excel in some areas. Yet if you have any concerns it is important to talk to your pediatrician right away. Early intervention can play a big role in helping your child to cope with any learning disabilities which she may have. Papadatou-Pastou, M., and A. Safar. Handedness Prevalence in the Deaf: Meta-Analysis. Neuroscience and Biobehavioral Reviews. 2016. 60:98-114. Papadatou-Pastou, M., and D. Tomprou. Intelligence and Handedness: Meta-Analyses of Studies on Intellectually Disabled, Typically Developing, and Gifted Individuals. Neuroscience and Biobehavioral Reviews. 2015. 56:151-65. Somers, M., Shields, L., Boks, M., Kahn, R., and I. Sommer. Cognitive Benefits of Right-Handedness: A Meta-Analysis. Neuroscience and Biobehavioral Reviews. 2015. 51:48-63.